This Talavera ceramic pot is hand-painted in a multicolored theme. 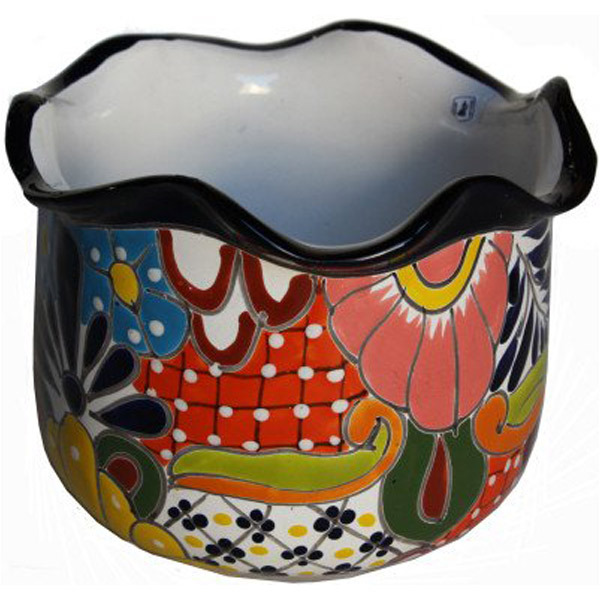 Mexican Talavera Ceramic pots have a drilled hole at the bottom; this enable them to be used as a planter. We recommend to use a smaller plastic planter to put inside; this will prevent eroding to happen and will give a longer life to the pot. This ceramic pot is just an example of the exquisite beauty the Mexican craftsmen put on each item they create. It is hand-crafted and hand-painted, which means not two pots are the same! There might be small differences in size, weight and even the colors. If you want to delight somebody special with an unique handcrafted gift, this might be what you are looking for!